Founded in 1977, Thrive’s mission is to protect Hood River’s farms, forests, special wild places and the livability of its cities and rural communities through advocacy, education and monitoring land use processes and decision-making. 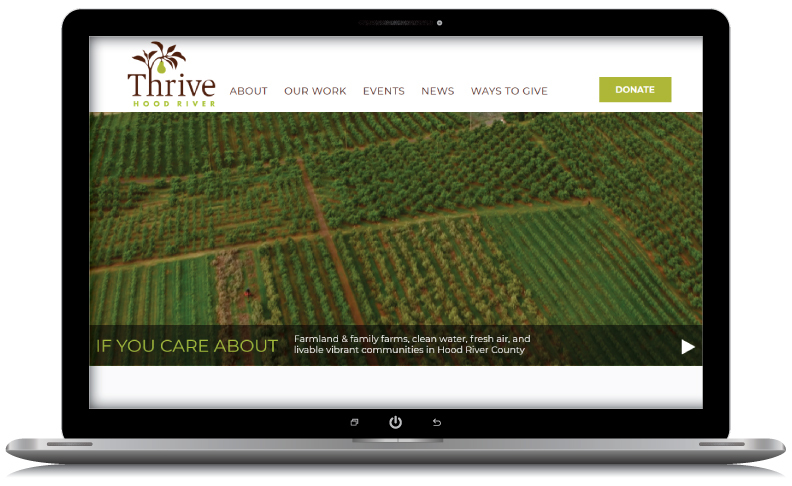 After a company rename, WebRock was tasked to re-envision Thrive’s online presence. WebRock was also asked to provide a backend user-friendly interface that the client can use to make updates easily. The site’s clean, modern design drives the viewer to focus on the the important issues being addressed by Thrive Hood River while giving them an enjoyable, visual experience.